Garage 51’s Messed Up Family beverages, spaghetti and fried rice with lots of meaty goodness. Check out below on what they have to offer. 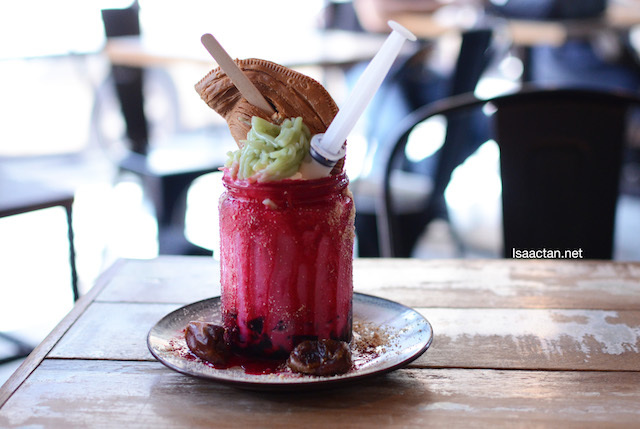 For a limited time only, Garage 51 has introduced the special edition Bandung Milkshake into their Messed Up Family line of beverages. Served with lots of cincau, cendol, and a big curry puff inside, there were dates at the side, signifying this to be a special dish for Ramadan. Love the colours, and surprisingly it wasn't overly sweet as the colours would suggest. My favourite dish that afternoon would be Garage 51's Serunding Fried Rice with Sweet Ayam Percik. The fried rice is really fragrant, topped with these tasty chicken serunding. 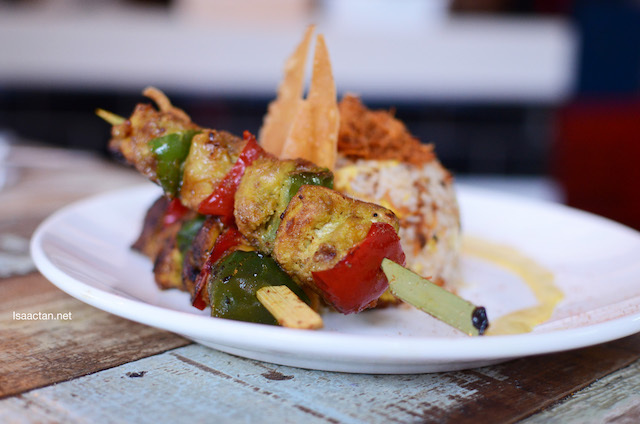 What's even better would be the very flavourful and tender sweet ayam percik on skewers served with tumeric coconut milk sauce. Now this dish is loaded with calories, but it's just too tempting not to indulge. Fancy some spaghetti? 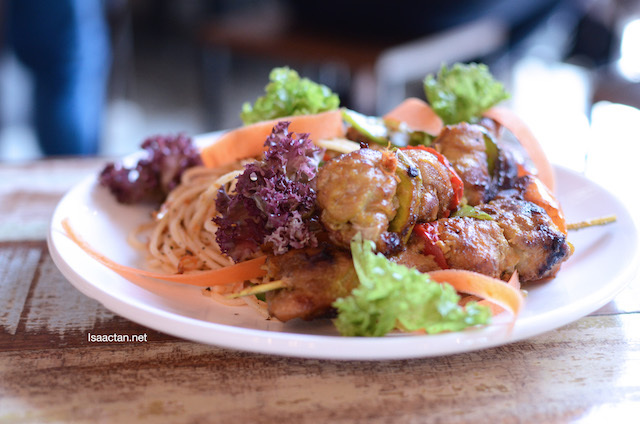 Then do try Garage 51's Serunding Aglio Olio Spaghetti with Sweet Ayam Percik Skewer. 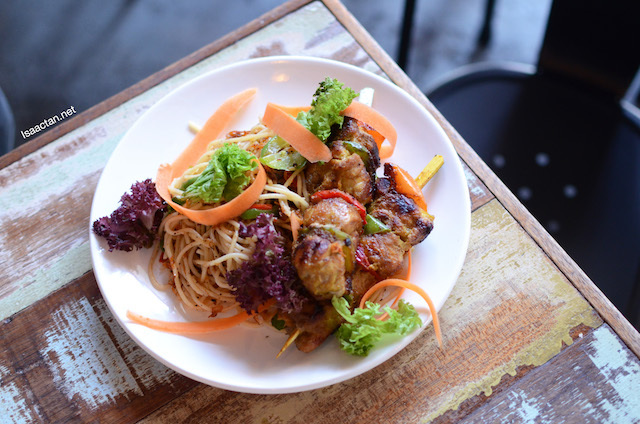 A western dish with an Asian twist. One thing I must say, the Ayam Percik Skewer is really big, with two of it in the dish, guaranteed to satisfy. Do drop by Garage 51 at Bandar Sunway this Ramadan to buka puasa with these yummy dishes.